Generally, when using veneer, we focus only on the Heartwood portion of the tree, cutting away any Sapwood that might be included. However, using both in combination can create some truly amazing patterns. 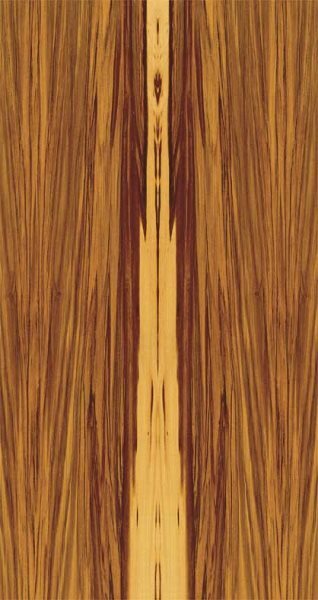 Many species have unique color contrast patterns of sapwood and heartwood. Book matched Black Limba with heavy sapwood. Book matched sappy Satin Walnut. To understand why the sapwood looks different from the heartwood we must understand how a tree grows. 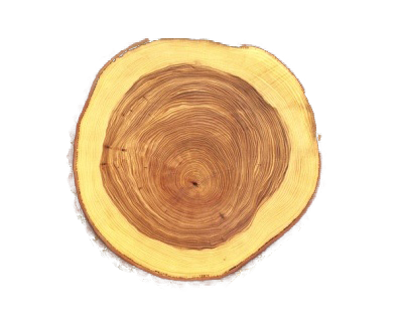 Each season a tree grows another layer, or growth ring, each ring building upon the last. They tell the story of each year’s weather and something about where the tree took root. All of which influences the color and consistency of a tree once it’s veneered. When we slice veneer from the outside in, we’re going backward in the lifetime of the tree. The outer most area of the tree, just under the bark, is the Cambium, or, the living/growing part of the tree. Underneath that is the sapwood. This is the outer light-colored portion of a tree trunk through which the water passes from the roots to the leaves, and in which excess food is often stored. The section cut of this tree shows that an animal has used its northern side as a scratching post. Its wider growth on one side means the tree did not grow completely straight. Tight growth rings mean this tree had a faster growth pattern. Likely the lighter inner rings are the “spring” growth season and the darker growth rings represent the “summer” growth season. As the tree matures the inner wood changes its role. It stops the process of feeding the tree and becomes a rigid support structure for the branches. 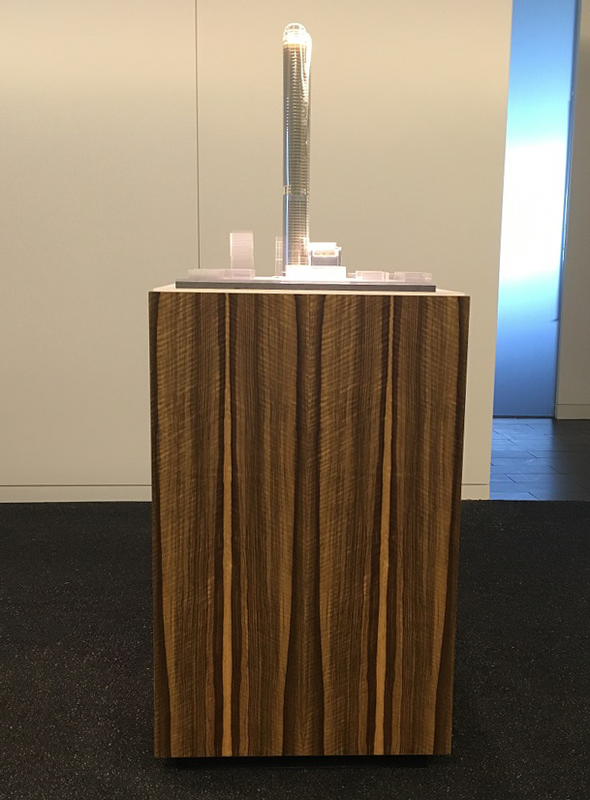 This wood becomes more resistant to decay as a result of the accumulation of chemical substances and the wood’s color takes on a distinctively warmer hue. This is the Heartwood. It is the central core of the tree and the wood we prize most for its grain and color.